Despite what you may have read online, SEO is still very much alive and well, and every bit as relevant as before. If you are running a blog, website, or an online business, SEO is one of the best tools you have at your disposal. The only thing that has really changed is the way it is used and implemented. This means that mindless keyword stuffing is a thing of the past because Google prioritized high-quality content now. However, there is a lot more to SEO than that. Without SEO, your prospective customers and/or target audience, whether they are looking to buy a new carpet, or seeking out assignment help, wouldn’t be able to find you, regardless of how good your content is. According to research, organic searches account for over 60% of the traffic. 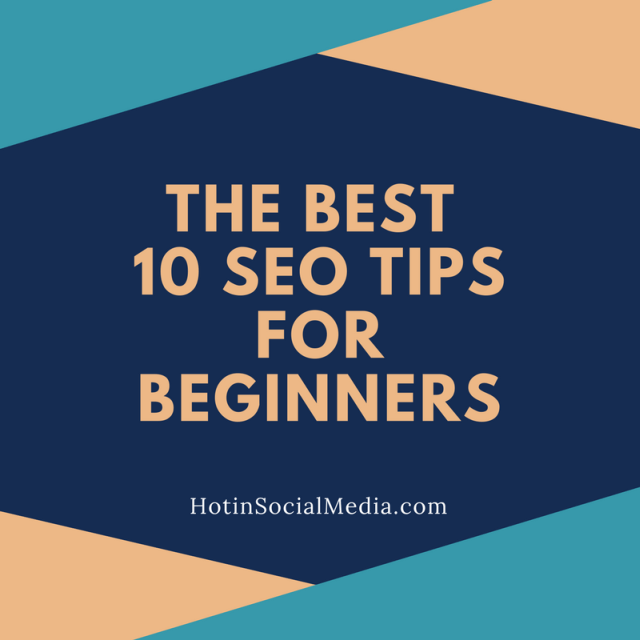 This is why should check out the following list, which contains 10 best SEO tips for beginners designed to get you started when it comes to SEO. Keep on reading. Now, it’s pretty much a no-brainer to say that your content needs to be well-written, informative, and useful to your audience. The reason why keyword stuffing is dead is that Google has gotten a lot better at determining the user’s actual intent, instead of just trying to find keyword matches. This actually makes your job as a content creator a lot easier, because you can focus more on writing for your readers, instead of search engines. Your website or blog needs to load and look equally well on any screen, be it that of a desktop, laptop, tablet, or smartphone. Although there are different ways in which you can achieve this, Google prefers you to use responsive design, because that’s what it prioritizes when it comes to search engine queries. Your content needs to be useful, but it also has to look good when viewed on a screen. Anything else is unacceptable. While external links are good for driving more traffic your way and for establishing your website as an authority in the niche, internal links are just as important. They direct the readers to other areas of your website which they might find interesting, which can significantly reduce your bounce rate. Also, by cleverly using anchor text, you can become a bigger authority in Google’s eyes, so to speak. Finally, by inserting internal links where they are needed, you are making it easier for Google’s crawlers to index your website. Search engines look at title tags in order to determine what your website is about, which means you must place your target keywords there. In case you are not familiar with title tags, it is the highlighted text that appears inside the search engine results. Keep them under 55-65 characters. Your meta description appears below the title tags in the results. While it may not have a massive influence on your ranking, it does tell the user what your article is about. Keep it under 156 characters, because that’s how many will be displayed. While you can make use of passing fads or ride the wave of current news to improve your website’s visibility, that sort of content quickly becomes irrelevant, and you may experience huge drops in traffic and authority. Instead of that, focus on producing content which is evergreen and in-depth, and which will help your readers. In the long run, it is a much more useful approach. Comments boost your audience’s engagement, and on top of that, they will appreciate the fact that you’ve allowed them to voice their own opinion, or to provide useful feedback. Furthermore, user-generated content is usually full of relevant keywords and phrases, which help with your ranking. Just make sure to filter out all the spam and irrelevant comments. Regardless of who your target audience is, you can rest assured that you can find and reach out to them through social media. By interacting with them through relevant channels (be it Facebook, Twitter, Instagram, or anything else), you will come off as a lot more than some faceless corporate entity. Interaction also boosts engagement, and all of these social signals will not be ignored by Google. Copying someone else’s content, or even your own can result in a penalty by Google. Once it finds two identical pieces of content, Google will only index one, and if you don’t have a sitemap, which tells Google where that piece content came from, you may end up on the losing end, even if you are the original creator. Of course, quoting other authors is still allowed, but with proper attribution. There are other SEO practices which can boost your website’s ranking, but which rely on methods which are less than honest. For example, using white text on a white background which contains keywords, or hiding links inside commas, full stops, or hyphens. It does work, but sooner or later, Google will figure it out, and your website will be banned or penalized. Focus on providing great content for the user, and rest assured that it will pay off sooner or later. If you are serious about running your website or business, you need to pay attention to SEO, because even though Google is clever, it still needs a little help from you, and that’s what SEO does. Ultimately, it helps connect your content to the right audience, which benefits everybody. After a career in a professional environment, Hillary Hope now has a second career as a freelance writer. She writes to impart her extensive knowledge on career development, leadership, and recruitment topics.